On March 12, Google launched an algorithm update that was called to March 2019 Core Update. An algorithm update is nothing substantial for Google. They make daily updates to their algorithm, sometimes multiple times per day. The results of this algorithm update have been different for users. The average ranking of a number of websites has shifted during the update. Many users saw either a dramatic increase or decrease in average search ranking for pages at the time of this update. Google confirmed the update on March 12 and noted that updates to the algorithm are normal and daily, mainly for minor improvements. Broad updates to the core algorithm, like the one on March 12, can lead to more dramatic shifts in ranking for pages. There is no “fix” for this, Google says, and content owners should not make drastic changes in an attempt to fix things that may not be an issue at all. Through it all, Google puts the focus on rewarding quality content and emphasized that in a thread on Twitter. The algorithms reward good content, so even if the update had an adverse effect on rankings, it does not mean that the content was the reason and that the key focus on content marketing and SEO should remain to produce content that draws an audience and resonates with search engines. Google also offered guidelines on how their search algorithm works and ways users can experience good results, even with the update. Here are a few of the key areas that matter to Google. Changes made to Google’s algorithm are not for the websites being listed but for the user. After all, the user is the one who is looking for something using a search engine. The goal for Google is to provide useful results that are relevant to the user searching. Therefore, all search updates and algorithm updates are run through search testing thoroughly before launching. Engineers at Google do search experiments constantly to see what ideas can be rolled out into a live atmosphere so that Google is providing the most accurate and relevant results. Tests are even run in a live setting at times to confirm that they are ready for launch. Getting listed on Google is all about being found. That’s what they do, after all. They help publishers and businesses get discovered online. This is why Google also offers tools and advice on how to rank on search engines. There are a number of support documents and videos that can help educate you on Google’s algorithms and ranking. Expert advice is available from both employees and experts outside of Google for assistance. There are also tools that can indicate troubleshooting or performance and on-site errors for your website with advice on how to fix them so you can build a search-friendly website that performs well and ranks well. It also helps make sure that your website is safe since Google wants to promote websites that are safe and useful to its users. Google believes in providing open and free information to users and focuses on making that information available. Google’s search results are reflective of the content and opinions that are published on the web, not reflective of their beliefs or opinions. The goal is to provide information that relates to a search, and sometimes that may include results that match closely with the language used in the search that is biased, has negative practices or may be offensive. These results are not always foolproof either, which is why updates are constantly made to try to get it right and prevent poor results that lack quality or are irrelevant to your search. While Google made a significant update that resulted in many rankings shifts, it does not mean that you have to change the way you try to rank. Continuing to produce quality content that follows SEO practices is still the way to go. One of the most important questions people ask when it comes to SEO is how they can get their pages to rank higher on search engines. Ranking certainly means a lot to your results. After all, the more eyes you are in front of, the more likely you are to generate attention and traffic. The question is…how do you get there? How do search engines work to help you? At Genius eCommerce, we are SEO experts and are always keeping up with the latest in eCommerce SEO to keep you informed on what tactics work and which ones you should avoid. Today, we will look at the ways that search engines rank your webpages and the process of getting a page to rank. Before you can get into how search engines rank pages, you should know why pages are ranked. Obviously, the main reason why pages are ranked is to achieve related results for the person doing the searching. 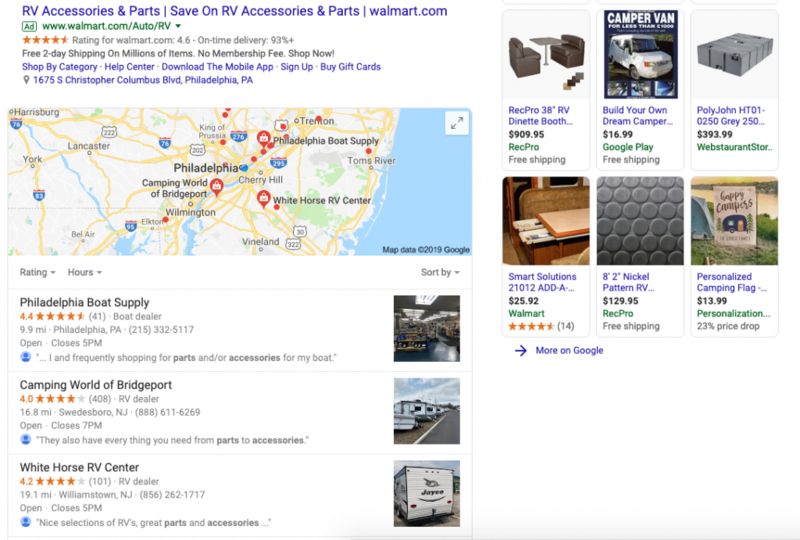 The related results from the search include paid results, the boxes in the right-hand column that show top products, and the map to show nearby locations where you can get these parts and accessories. The organic traffic also appears lower on the page. 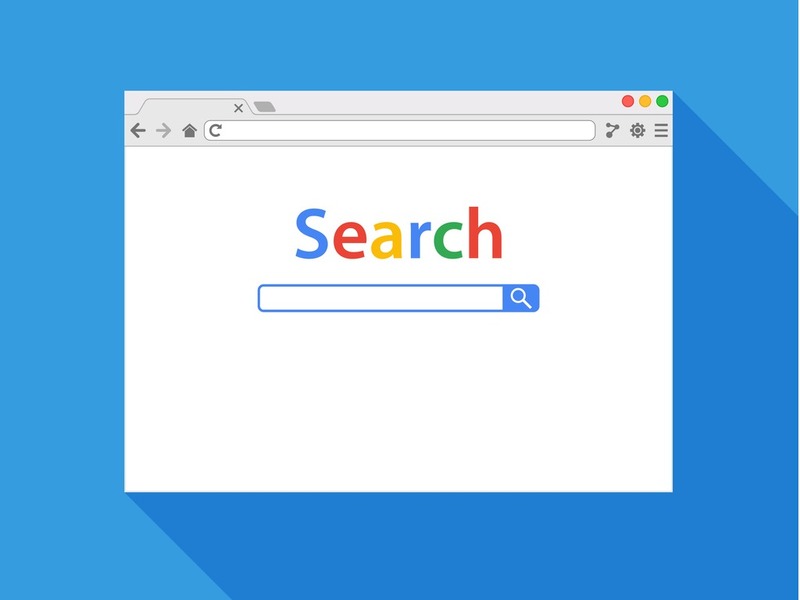 Search engines, like Google, Bing, and Yahoo are tools that help people find the things they are looking for, essentially a curator of sorts that brings relevant links to the forefront. If a bunch of random options displayed, they would stop using that search engine. Now the question is, how do search engines get those results to the top so that you see only what is relevant on the first page of results? It takes 5 steps to rank a page. Classify the incoming search query. Classification provides search engines with the basic information that it needs to go through the remaining four steps. This can be classified as questions, local results, and other labels. Assign context. Search engines take all relevant information into account as results are being generated. For example, if you search for a weather update, you don’t have to list a specific location for a search engine to produce the local weather report. It takes the environmental and historical factors into consideration such as location, time, the device being used, whether your current query is related to previous queries and much more. Weighting. Search engines can apply weights for certain combinations where freshness matters. By “freshness” we mean the date with which a result was published or still relevant. An example of where weightings take precedence in searches can be found in broad topics where authority holds the keys. If you searched a major historical event like Independence Day, you would probably get a few links to history websites and Wikipedia because of the authority they carry. However, if freshness were applied, you might get some more recent stories in the news or links to recent videos that were created about the event. Layout. If you have recently gone to Google or any other major search engine, you have seen this before. You type a search query in and as the results load, the layout changes. Some results produce listings for videos or images. Others produce related search terms and topics. Search engines can determine which formats of results can apply to a specific query so that you get comprehensive results in the different categories of search engines, not just website listings. The final step is the ranking itself. This is where the search engines take all factors, put the query through its algorithm and analyze the data to get the best search results. It’s taking everything from the first four steps and running it through its process. Getting your website ranked is actually fairly easy. However, it is understanding what a search engine does and the factors that can help you boost your keyword rankings that goes a long way. If you have a core understanding for search engines and how they work, you have a greater appreciation for the elements that go into rankings and a better understanding of what needs to be done on your end to achieve success. Be sure to continue reading Genius eCommerce for more tips, trends, and news on eCommerce SEO. This is who we are and what we do, keeping you informed on the SEO landscape and the elements that make for an effective SEO campaign. Continue reading the Genius eCommerce blog for more. With any website, SEO is important to achieving a noticeable online presence. 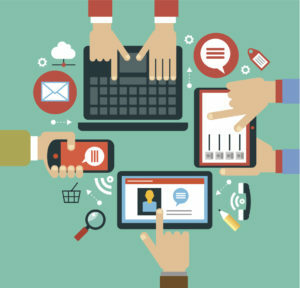 There are many different techniques for website owners and eCommerce merchants to use to try to boost their SEO and have a greater presence on search engines. As technology advances and progresses, techniques to making a greater impact on search engines can become stale and outdated. At Genius eCommerce, we keep you informed on all the latest trends, tips and tricks to achieving better results in the digital space. Today, we’ll inform you on a few things not to do with your SEO efforts. Keyword Stuffing and Density – Producing content for your website is no longer as simple as just writing a bunch of posts specifically targeting keywords or overloading your content with one keyword. Keyword density and keyword stuffing are tactics that no longer work with Google’s system. Keywords remain an important part of SEO, but instead of trying to insert a specific keyword a number of times into content and trying to load up web pages with keywords, content quality is more important, meaning you need to have well-constructed and well-thought content to really make an impact on search engines. Writing for Search Engines – This is also known as writing for robots. Again, it’s the quality of your content that is more important. Don’t use some writing robot to construct content that is unnatural. Taking a keyword and writing it in all variations in your content isn’t going to work with search engines. Give your content a human element; write like a human for humans. This will certainly increase the quality of your writing and give you a better chance to make an impact with search engines. Link Buying – Years ago, it was fairly routine to see offers and deals to purchase more links to point to your website and many website owners would do it. Even all this time later, there are still people who pay to have more links point to their website. The problem with this tactic is that buying links and taking shortcuts does not achieve any success. 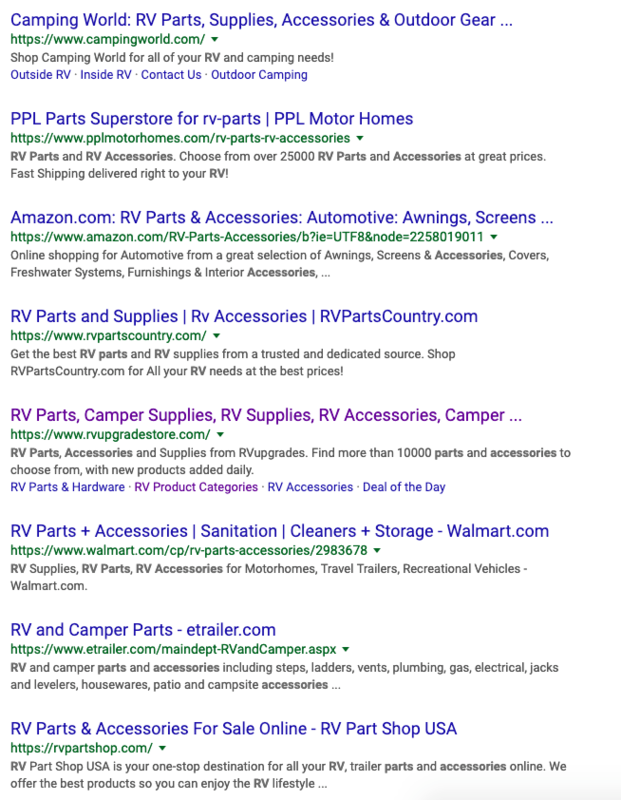 Google can easily identify a low-quality website that will be carrying a purchased link. If you want to really generate more buzz on search engines and build up links, you have to earn them. Poor Keyword Research Strategies – There are many different categories and data that can be reviewed when it comes to researching keywords. Many people try to use tools like Google’s free Keyword Planner to try to replicate keyword data. Some of the features and reports from their tools is not an accurate representation of the industry, the competition and the overall market for your business. The best way to do that is for a business owner to get their own evaluation and understanding of these areas and build a strategy based on that. Exact Match – The practice of targeting for exact matches of keywords and search queries just for the traffic is another tactic that is doomed to fail. Google is smart enough as a search engine to determine if there is a relevance between the business and search term and thwart any chances that a keyword displays for an exact match just to increase click-through rates. Similarly, having keywords of greater value in your URL makes some sense, but isn’t foolproof. Keep your domains consistent with your brand and instead of trying to attract other keywords just to build traffic. Now that you know how some of these practices can hurt your SEO efforts, consider these tips and stay informed on the best practices from great content to an effective and well-researched keyword list that can help you get better SEO results. With Genius eCommerce, we are your source for the latest tips, tricks, trends, and updates in the eCommerce space. This is who we are and what we do! 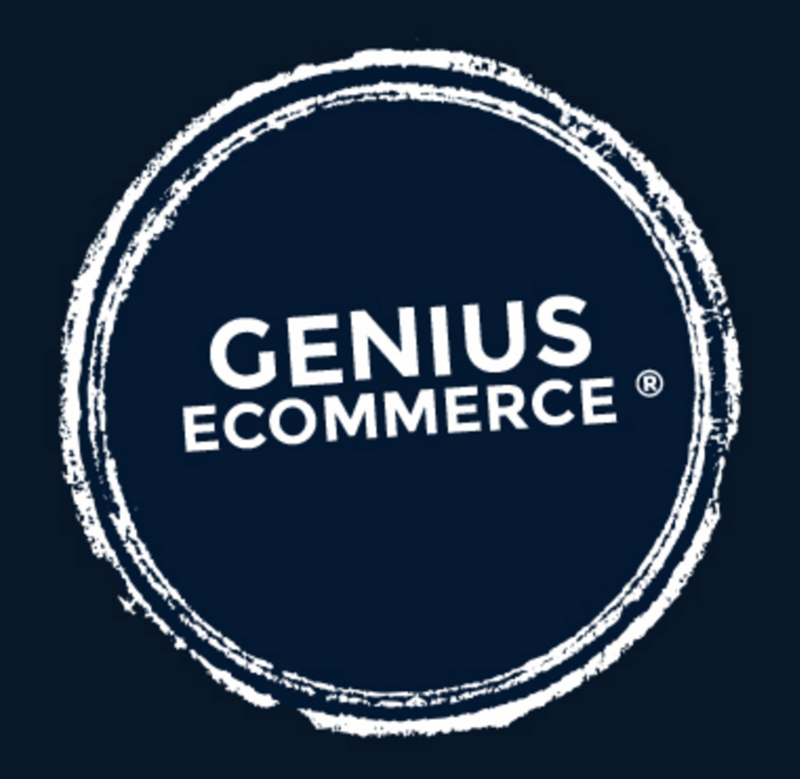 Continue reading the Genius eCommerce blog for more updates.